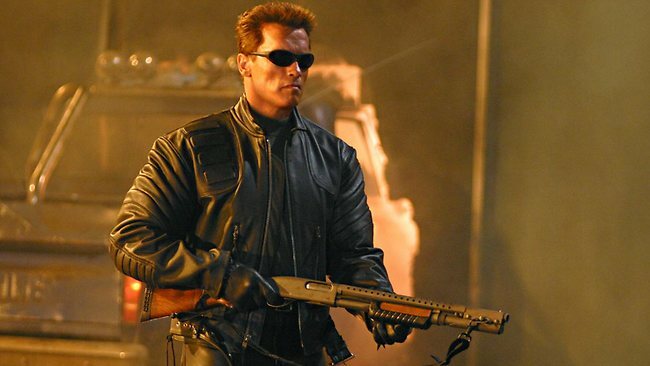 ARNOLD Schwarzenegger will make his movie comeback by reprising his title role in the Terminator series. After nearly 30 years since the original James Cameron flick, the former California governor and action movie hero promised his fans that he will return with as much violent action as ever. "I can step very comfortably into the entertainment world and do an action movie with the same violence that I've always done," he told the LA Times. The film, at this stage being referred to as Terminator 5, is in a very early pre-production stage but is apparently to be directed by Fast & Furious 5 director, Justin Lin. The direction of the storyline is unknown, leading to speculation that the fifth film of the series will lead on from the ending to the third film, Terminator: Rise of the Machines, and not the fourth film, Terminator Salvation, which starred Aussie Sam Worthington as the new hero.